A Boarding Up Service to protect your premises after vandalism. For a temporary security aspect, use our HOME SECURITY Services, from North London Locksmiths Ltd.
Do you need our Boarding Up Service? Have you had your windows broken or your door smashed after vandalism? Need temporary security? NORTH LONDON LOCKSMITHS Ltd. The experts are there at your service to look after your HOME SECURITY needs. Not only do we supply fully skilled Locksmiths and first class Carpenters for lock opening abd repairs to frames and doors as well as fitting new doors, our Carpenters are there to help you board up your premises in the event of damage being caused at strange hours. We do all types of security services on a temporary security basis, whether it is a broken window, broken door, or damaged Door Frame, we will attempt to secure your premises from further vandalism. Just call our office on the 0208 800 6041, (this is a 24 HOUR Emergency Service),and we will send out our team to secure your premises, as required. WE COVER ALL BOARDING UP AND CARPENTRY AS WELL AS LOCK OPENING AND LOCK FITTING, OUR COMPANY OFFERS ALL TYPES OF SMALL WORKS REQUIRED FOR YOUR HOME OR COMMERCIAL PROPERTY. Let our team aid you in your time of need, just call our office on telephone number 0208 800 6041 for a fast, reliable service. Our team is primed and ready, to answer your call of distress, as our motto states, your satisfaction is our satisfaction and we aim to please. We offer a 24/7 Emergency Response - Full Service Property Damage Restoration - Experience, Expertise & Technology Don't wait for an emergency to occur before you select an emergency contractor. Look for the best service, and for the contractor who's willing to work with you when your disaster strikes... Even if it's Christmas Eve, or a Sunday night. 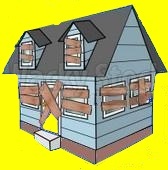 NORTH LONDON LOCKSMITHS Ltd. will offer this Boarding Up Service. We are a full security company capable of much more than Board Ups with our 30 years in the business, we know what to do. We are at your service for boarding your premises, to prevent squatting, or as a temporary repair in the sake of a broken window etc. North London Locksmiths Ltd. offer a full HOME SECURITY Service covering the whole of North London and North West London. Please click on the button of Service required. Our Carpenters are waiting for your call to board up your home, in the event of an emergency, caused by a break in, or other forms of damage, or just to protect your property. If you would like an estimate on any Security work in which North London locksmiths Ltd. undertake, including our North London and north west London Boarding up Service, please fill in the form below, giving as much detail as possible of work required, submit back to our office and we will respond as soon as possible.